PREMIUM BEAUTIFUL IS THE SPECIAL AND BEST LINGERIE. Premium Beautiful is made from a very soft material that. It is made from 2 special fabric, akwatek and akwadyn. 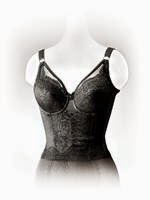 Different from other corsets in the market, Premium Beautiful is stretchable and it follows the wearer's body movement. We call that the 360 degree stretch. Premium Beautiful Corset is a SUPERBRAND Corset for Health and Beauty. PREMIUM BEAUTIFUL consits of 3 different pieces - Long Bra, Waist Nipper and Long Girdle. Unique 3-piece dimensional cup designed to push up, support and firm up breasts. Designed ergonomically with fine elastic mesh fabric and Far-Infrared Ray to promote blood circulation and metabolism, enhance breasts elasticity as well as promote breasts development, sweat absorption and better ventilation. Frontal and central bi-layer compression and tightness design helps to elevate and support breasts. Bi-layer compression and tightness design at back reshapes the back to an attractive contour. Extraordinary functions in sweat absorption, ventilation, hydrophilic and heat-trapping reduction. An unique 360 degrees stretchable elastic panel allows body to move freely without distortion. Unique breast pad design to achieve maximal effect. Elegant pattern to present exclusiveness of the product. Premium Beautiful Foundation Brassiere uses 3-piece dimensional design, steel wire, frontal and central bi-layer compression and tightness design to support, lift and firm up breasts, thus supporting full breasts. 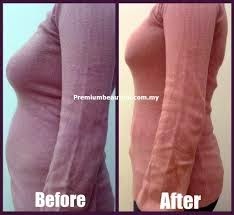 Therefore, it is comfortable to be worn during hot weather for perfect body contour reshaping. U WANT TO TRY THIS SPECIAL BRA? AND FULL PREMIUM BEAUTIFUL CORSET? RAB THE SPECIAL OFFER NOW!